*WOW* New low price and beautiful new backyard trees! 6 oversized Ficus trees just planted and they're beautiful! 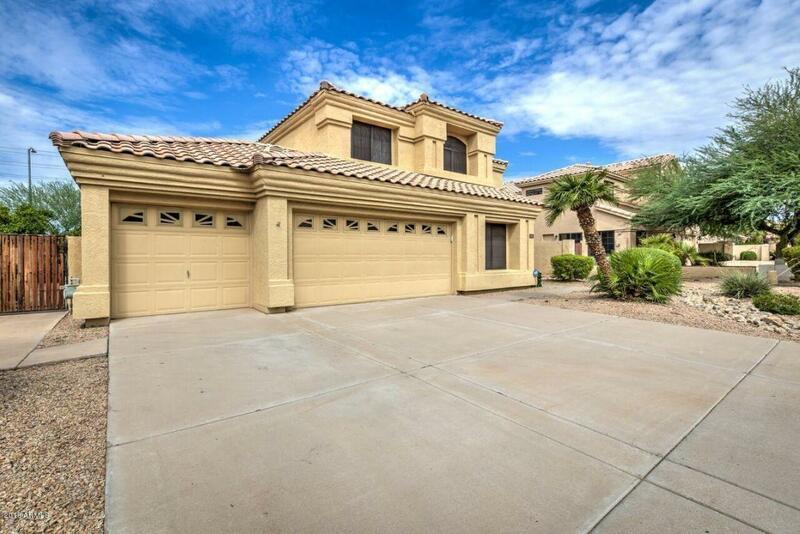 Popular 4 bdrm/3 bath floor plan in a prime Scottsdale location on a cul-de-sac lot! One bedroom and full bathroom downstairs! 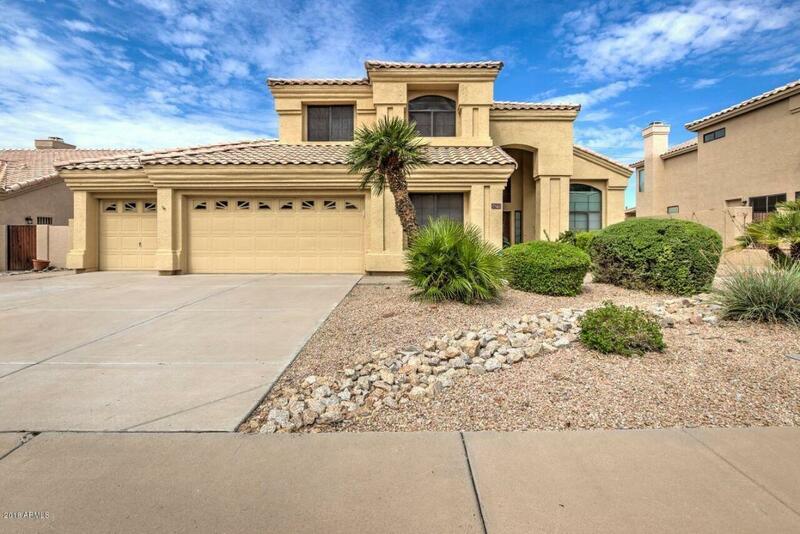 Soaring vaulted ceilings with huge picture windows make this home bright & open. 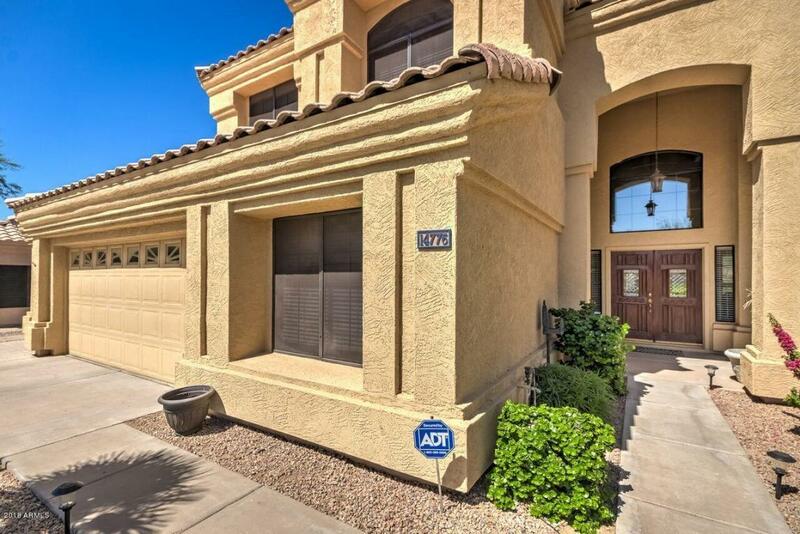 Beautiful updated kitchen with upgraded cabinets & hardware, granite counters, stainless steel appliances, lots of cabinet pull outs, large walk in pantry, cozy breakfast room and lots of windows for views of the backyard. Upgraded wood laminate flooring and tile throughout, oversized baseboards, upgraded faucets & fixtures, upgraded light fixtures, 2'' blinds and ceiling fans throughout. Master bedroom is spacious with a sitting room and vaulted ceiling. (cont. )His & Hers closets lead into the luxurious master bathroom which has dual vanities, separate tub & shower, new paint and upgraded fixtures. Oversized laundry room w cabinets. Fabulous backyard boasts a salt water pool with rock water feature and lots of hardscape to entertain or sit and relax. Turn key and move in ready! 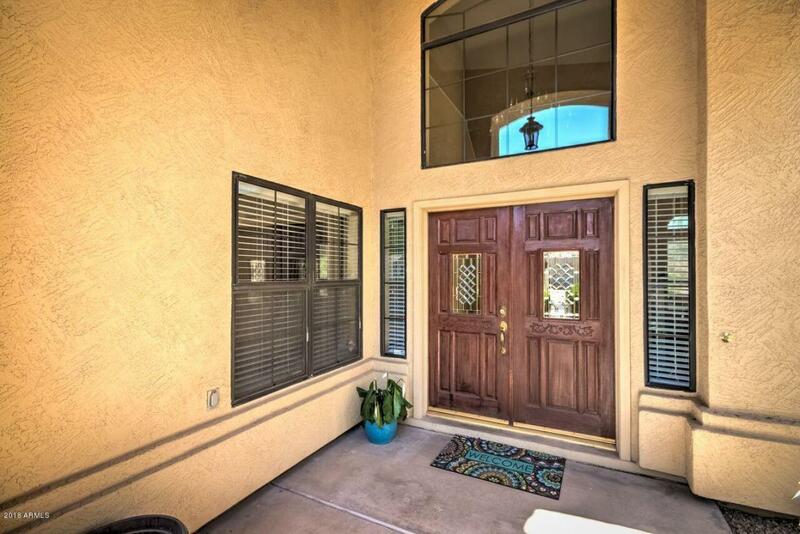 Close to the 101, shopping and restaurants! Don't miss this one, it a rare find in a highly desired location and won't last long. Cross Street Raintree And 90th St.